of the recent Impact7 Print Conference in Melbourne. at Dunedin School of Art, in P152 Lecture Theatre. 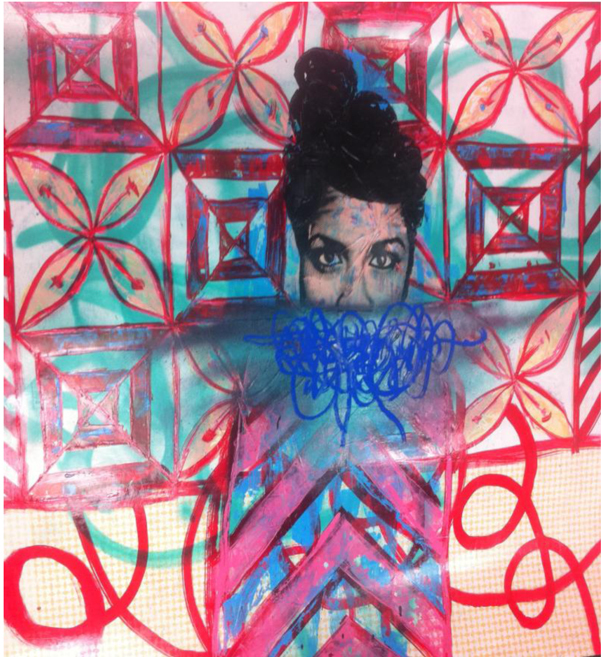 Print, mixed media. Installation at Mora Galleries (AU). and are all exhibiting artists. 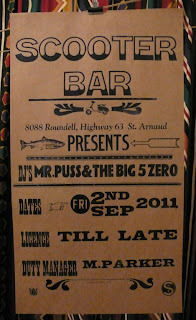 If you are in (or near) Dunedin this week put this in your diary. Some of them are starting next week, so register now if you are interested! This course is suitable for those new to screenprinting or with some experience. The programme will cover stencil and photo-emulsion techniques. Students will have the opportunity to screen print on paper and fabric surfaces. This course covers a range of monoprint and intaglio techniques. and is suitable for beginning and more experienced printmakers. This course covers a range of woodcut and collograph techniques. 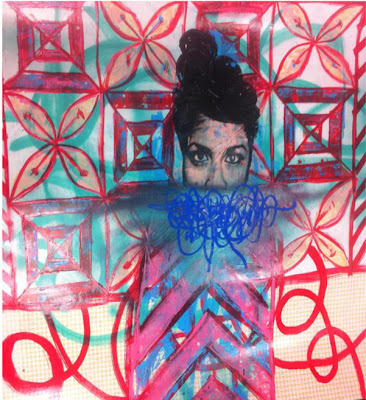 This course includes collage, composition and layering prints using different processes. from this Friday 28 October until Saturday 19 November. including the launch of two new pieces!" 11am-1pm on Saturday 29 October and Saturday 5 November. Will be a great opportunity to hear from Shane, so mark it in your diary now! Numbers are limited so be in quick if you want to register! using methods of tradition, experimentation and handy shortcuts in colour and black & white. including the rules and process of the print studio, from the idea to the finished print. from printing one single block in differant ways. They link up to make contrasting patterns then printing a silouette block over the top of that. so you get a feel for it then you can elaborate and experiment as much as you like. which is easy on clean up and friendly on the environment. the press, inks, chisells, paper, rollers, newsprint and custom wood. usually things will come to you while your making your pattern prints. or give away to your friends and family. 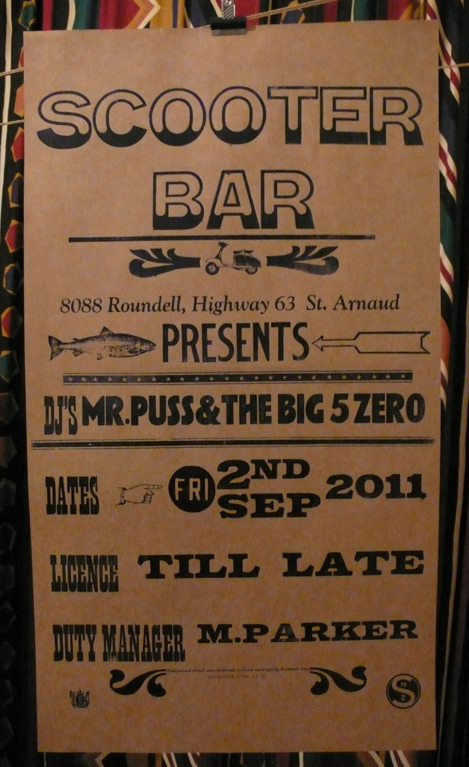 on Saturday 26 November in Birkenhead, Auckland. This workshop is open to all levels of experience. Cost is $140 plus GST per person, max of 4 people. 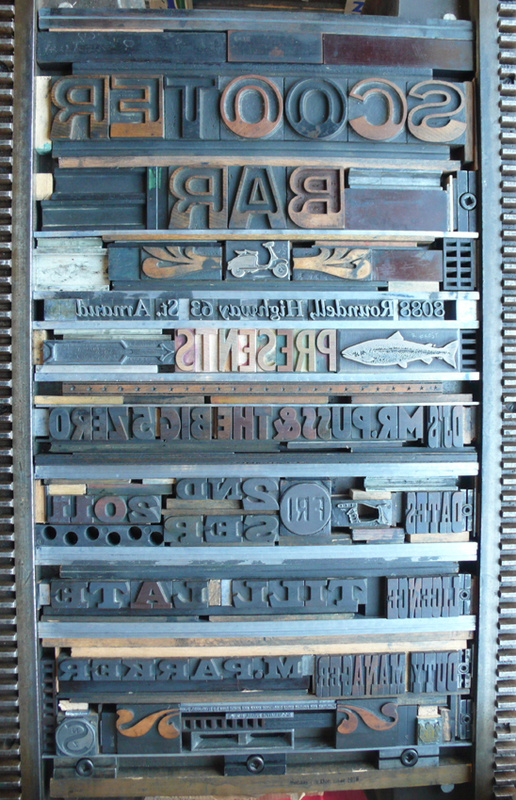 of lead and wood type and ornaments, to design and print a page of a font catalogue. with the expertise of Graham Judd and Lesley Smith. with their own choice of subject. and register your interest now to avoid missing out! and Whanganui printmaker Margaret Silverwood. is master printmaker at Stoney Road Press in Dublin. and his typically quirky way of seeing the world. I especially loved the whimsical play on 'flock' of birds and 'gold' fish! to explore the complexities of our relationship with the rest of the natural world. Mostly drawings, I liked the characters from these two etchings. Etching, 19x25cm paper, edition of 10. Etching, 23x25cm paper, edition of 10. 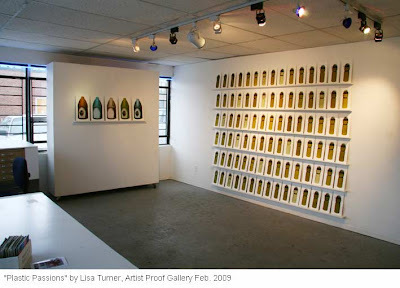 The winning artist will be awarded a solo gallery show in 2012. 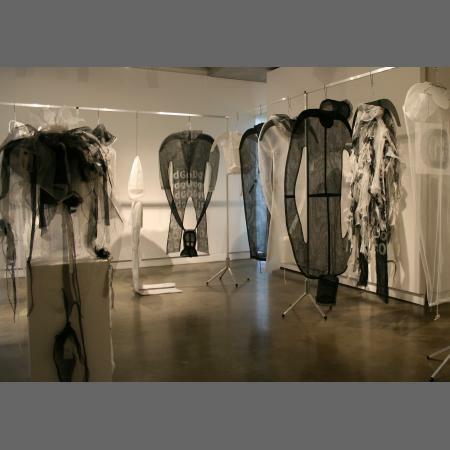 An international judging panel will decide the result of this year's exhibition. Duncan Bullen (Senior Lecturer, Fine Art Printmaking, Brighton University, UK). on show from 27 October to 15 November in Kerikeri. producing a complementary series of 20 prints (10 per artist). the work is presented in a boxed portfolio, and as wall pieces. Additional works from each artist will also be exhibited. the works from which were exhibited at the Switchback Gallery in Australia last month. Margaret Silverwood, Sheyne Tuffery and Fleur Williams. Although the show has finished, I thought you might like to see the catalogue. and will be in Palmerston North at Te Manawa from 24 October - 21 November. based on information provided by 79 chemists. Ayanah Moor, John Pusateri, Tiffany Singh, Tim White and others. and is located at Unitec New Zealand in Point Chevalier. and has an assortment of stones. enabling films to be created off site. but capable printers may apply for press time. Impressive 2 is opening tonight, Tuesday 18 October 6-8pm. during the SouthSide Arts Festival. imparting messages and information, recording history and anecdote in a visual media. prestige and the identification of the wearer. to a wider public with the use of woodcuts. Japanese prints influenced the French Impressionists. as a direct influence of the Japanese works. Susan Hurrell-Fieldes, Prue Mac Dougall, Daniel Waswas and Beth Sarjeant." yet the handmade artist's book is a flourishing artform. both drawing upon and extending the history and tradition of the book. Bruno Leti, Inge King, Gracia Haby and Louise Jennison." exploring the metaphorical nature of walking the dog. "Mostly I reduce the world to absurdity; in that form it is manageable". 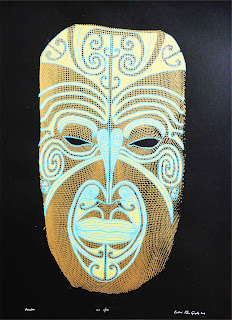 I just read this write up in The Aucklander about the Kia Ora Koutou exhibition. Thought it would be good to share with you. Have you been to see it yet??? gives the hallway a kind of gloom. Up on the second floor, the gloom gives way to the bright ArtStation gallery. On the wall, 75 horizontal and 168 vertical prints are arranged in a poutama step pattern, also known as the "Stairway to Heaven" or the "Steps to Enlightenment". to show RWC visitors the richness of our increasingly multi-cultural society. 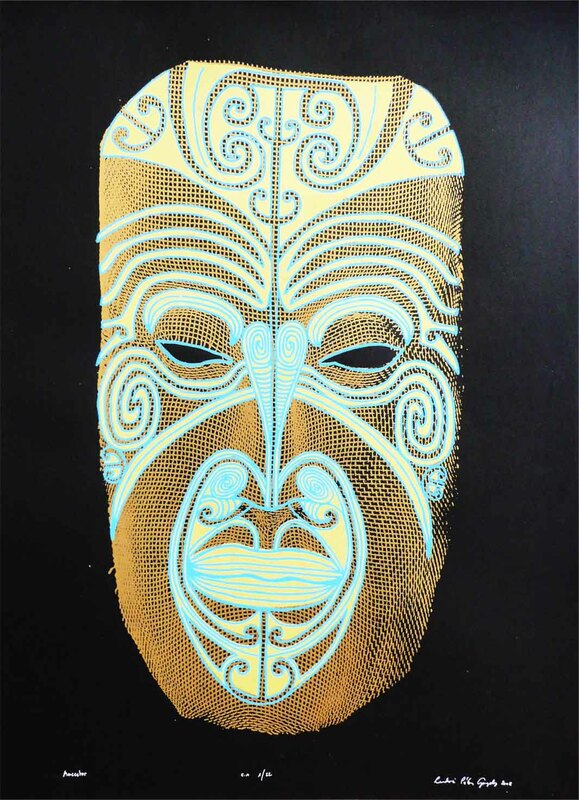 Whaea, Papakainga and Toto, all of which feature stylised enigmatic statements. "Words," he says, "I find them beautiful. Art is about communicating." features in the gallery's Kia Ora Koutou exhibition. to overseas visitors who've come for the Rugby World Cup. "This," curator Alexis Neal says of the Rugby World Cup, "isn't really my first inspiration. But I do accept that we'll have a bigger audience to show off to." Co-curator Janneen Love explains the show is not confined to attracting RWC visitors. for these people who are coming in but produce something first for ourselves,"
says Ms Love, who likens the exhibition to a series of conversations. "It's a conversation with yourself and a conversation with others. The secondary conversation is with the 40,000 people out there. There's not really a chance to talk to them." a "non-edited" and unframed version of print and art in New Zealand. "The idea is for the public to come in and carry away any works that interest them. As they take the work off, it will alter the look of the poutama pattern. The installation is an art in itself," says Ms Neal. "It's a little bit experimental. I've spent most of last week worrying about it." Also a printmaker, the idea of a print installation came naturally to her. "There is not always a lot of big public exhibitions celebrating print. not just from a Maori perspective, but from the wider community. We've got such a rich printmaking community in New Zealand. I don't think it's celebrated enough in those big institutions." but also in terms of experience with the medium. Mr Mace, for example, is new to the printmaking process. He is also the only contributor whose works are inspired by rugby. Ms Neal says the prints are reasonably priced . "We're trying to meet the market in turbulent times and get the works off the wall," she says. About 300 prints will be sold in the tradition of cash and carry. The prices range from $75 to $350. 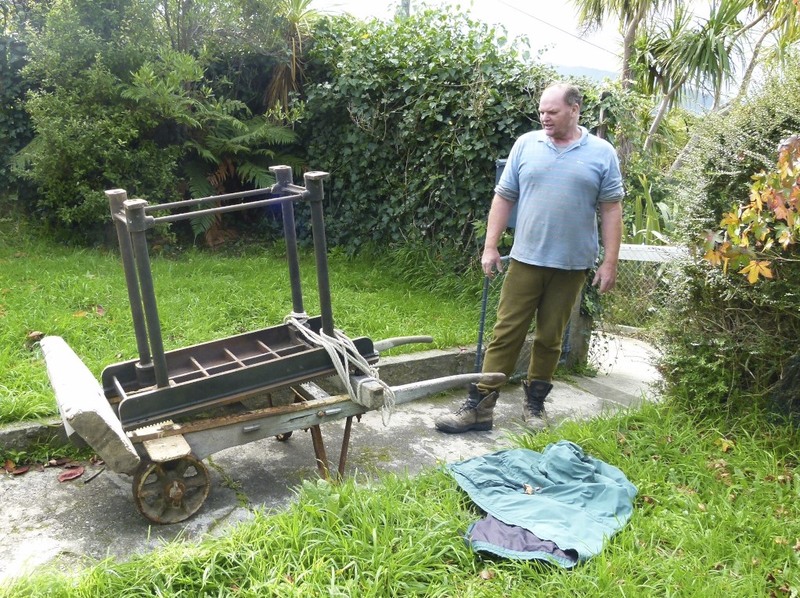 Kia Ora Koutou is open until October 22.
where they printed using a steamroller! "Early this year we decided to re-locate to NZ after 5 years in London, UK. 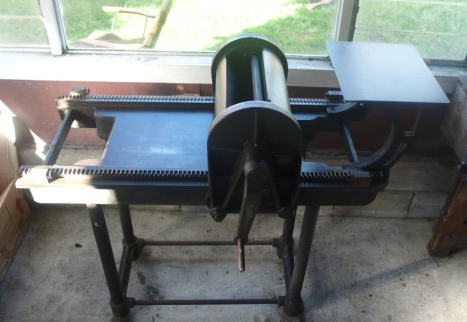 and had purchased an Adana 8 x 5 as well as numerous metal and several wood founts. as well as giving me the opportunity to use a Vandercook SP15. Deciding that this press would suit me well, I set about seeing if I could locate one in NZ, rather than trying to ship one from the UK. but alas did not locate one. I did however chance upon the NZ Printmakers website. Delwyn kindly made an advert to put on the website. Currently I am still looking; in the mean time a good thing has happened. 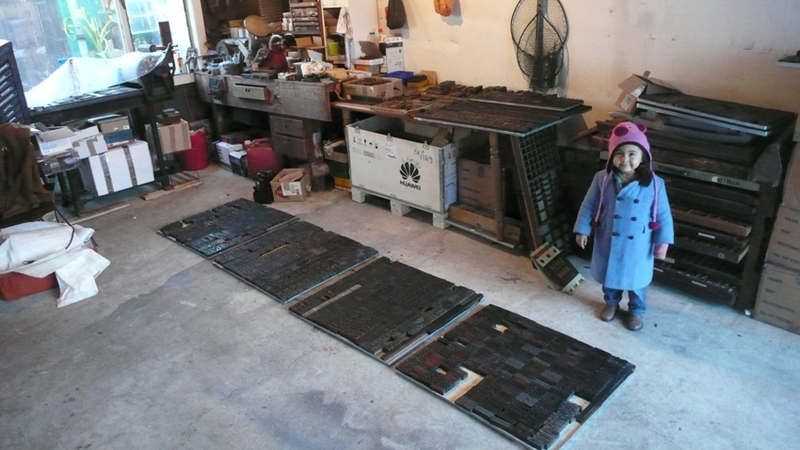 “ Would I be interested in an early model 14 Vandercook?” She also sent pictures. The press looked somewhat basic (without grippers), though in good shape. I sent a resounding “yes” and arranged for a mate to go and check it out. My friend Gavin is particularly strong, and capable of moving large objects. and that it was now in a couple of pieces going rusty in her garden. By now I had my heart set on the press and thought I would take a punt. and promptly went to pick it up from a steep hill section somewhere in Wellington. Once in his van he delivered it to me in Hamilton. The cylinder was very rusty and seized. and Gavin lifted the cylinder back on. and allayed any fears of parts being warn or broken. and the flat bar to hold the end of the blanket around the cylinder. but I eventually figured it out; a very effective mechanism once you work it out. as the cylinder could not even begin to travel down the bed. and found some interesting information out from a very helpful Paul Moxon. “This press was built in Chicago. Vandercooks built under license in Great Britain began after WWII. including Alex Cowan & Sons in Melbourne, Australia. and what could be more fitting for a member of the Hooksmith Press). before leaving London and these had been begging to go first. (this was a whole lot less exacting than setting a form in a chase for a platen). (cut with a knife off a roll – very crude I must add)! I then ran the first proof. but none the less a big sense of achievement. a permanent impression in the packing which affects subsequent prints. and still relish every opportunity to compose and print on this wonderful press. Thanks Delwyn, Allison and Gavin. 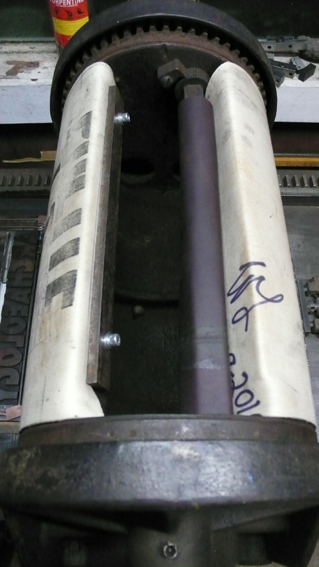 hence the term proof press. if one is realistic about the minor flaws, slurs etc. and the hunt still continues for an model SP15. at the Materia Inspiration Center, Amsterdam. "This exhibition is presenting a rather complete overview of what is today’s 3D printing. 3D printing, stereolithography, and laser sintering. For each technique: an explanation, a scheme, and some samples and results. Some techniques even have the actual machine presented. different colors, different transparency and different softness of material available. And everything, of course, printed in one single object, at once. let’s create a material that is soft where it should be soft and stiff where it should be stiff. let’s print a waterproof and dustproof engine which would never stop working. let’s scale it up and print directly upholstered buildings." I'm curious to know if you think it is a 'print'??? Has any of you ever tried 3D printing? Email me. to make digitally-formed relief plates to use with traditional printmaking? and to raise funds towards A/P’s artistic and educational programming. in the Artist Proof Gallery. and A/P will retain 2 works from each edition for sale in our studio and gallery. All interested artists are eligible to participate in this non-juried exhibition. Furnival & Co Ltd hand fed printing press in good order. Dating back to late 1800's to early 1900's. Unsure of the year it was built. It has two chase and three ink rollers in very good condition. it looks like its been broken before so not major. There are over 25 drawers of type to choose from. Some look like they havent been used. so would love to see someone enjoy this. Advertised for approx $2000, but also listed 'open to offers' . especially if you're into designing anything to go to a commercial printer. as well as show some print possibilities you may not have considered before. when your job goes from screen to print. The handbook is printed with 4 process colours, plus one Pantone spot colour. and has a one colour gate folded cover with a foil. at A Fine Line Gallery in Matakana, just north of Auckland.